When the coat hardens it creates a surface that can resist stone chips and all sorts of light scratches. The glass coat is rated scale of above 9H Tested by SGS. This scale is used in the coating industry to determine hardness, 9H is the highest on the scale. The coat will stay hard for a lifetime if maintained correctly. The coating has a 100% resistance against the damaging containment and harsh chemicals that a car can be exposed to. Since chemicals does not do anything to the coating, the car will stay protected. 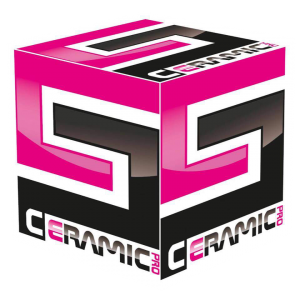 Silk oxide which is used in sun block is also used in Ceramic Pro’s products. The UV protecting keeps the paint, rubber and plastic from aging. Surface Protected with Ceramic PRO will prevent accidental paints from bonding to the surface. Grafitties can be cleaned up with ease.